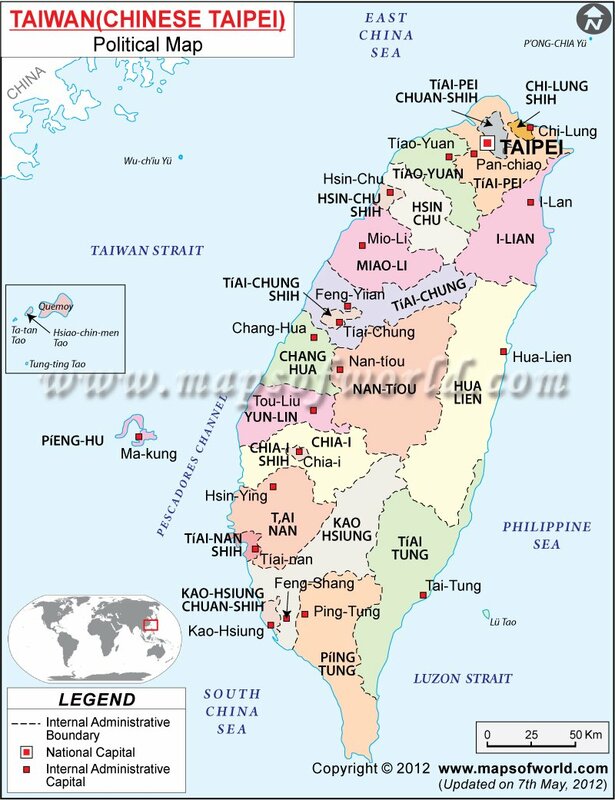 Taiwan is composed of the main island of Taiwan and the Phengu Archipelago. Taiwan Geography comprises of 64 islands and 21 other smaller islands. Near to Tropic of Cancer, it is located off the coast of China in the South China Sea separated by the Taiwan Strait which is about 220km at its widest point and 130 km at its narrowest. Taiwan is amidst a chain of islands from Japan in the north to the Philippines in the southwest. It is located on the major air and sea transportation routes in the western Pacific Ocean. The tip of Taiwan points towards Japan, stretching to about 390 km in length and 140 km wide at its broadest part with total area comprising of 36000 sq.km. Taiwan is approximately of the size of Holland. Famous for its mountainous regions Taiwan has the highest peak of 3000 meters or more in altitude. The weather is distinct both in north and south. South enjoys the tropical, oceanic climate and north is semi tropical at mountain altitudes with snow. Summer (May to September) and winters (December to February) has moderate climate and never extremes. The average rainfall is about 2515 mm per year. The best time to visit Taiwan is during the months of April, May, October and November. The Taiwan geography has almost two thirds of rugged mountains and flat to gently rolling plains in the west. The natural resources of the island are gold, coal, copper, natural gas, limestone, marble and asbestos. Earthquakes and typhoons are the major natural hazards on the island. However Taiwan geographically is an eye soothing island.